In many ways type 2 diabetes can be compared to cancer, in that it is a multifactorial disease that rarely affects each person similarly. 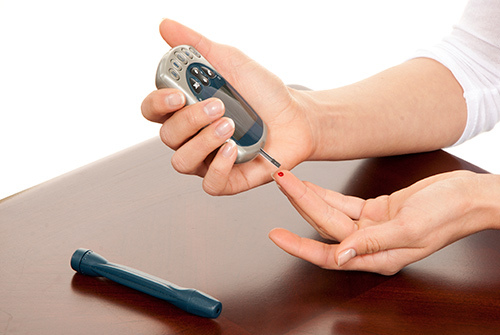 For decades, the medical community has struggled to diagnose and treat type 2 diabetes since it presents with such a vast array of symptoms and associated complications. Moreover, it has long been thought that the disease, like cancer, could be treated more successfully if patients could be grouped into clinically distinct subtypes with more specific prognoses. Now, a team of researchers from the Icahn School of Medicine at Mount Sinai has used a precision medicine approach to identify clinically and genetically distinct subtypes of patients with type 2 diabetes through the use of a massive data analysis project. The power of this new study lies not only in the possibility of more tailored diagnosis and treatment of type 2 diabetes in the future, but also reveals a novel approach that can be applied to virtually any disease. The investigators sifted through a complex network of electronic medical records (EMRs) and genotype data for more than 11,000 patients. Patients were grouped into three distinct subtypes based on the EMR data, which was followed by genomic single nucleotide polymorphism (SNP) analysis to pinpoint common genetic variants representative of each subtype. These subtypes were associated with different clinical characteristics. Patients that were more likely to suffer diabetic nephropathy and retinopathy were placed into subtype 1; cancer and cardiovascular disease in subtype 2; and neurological disease, allergies, and HIV infections in subtype 3. For each subtype, the researchers discovered unique genetic variants in hundreds of genes. The impact of this disease cannot be overstated as almost 29 million Americans are afflicted, and diabetes and its complications now rank among the leading causes of death in the United States. Furthermore, diabetes is the leading cause of nontraumatic foot amputation, adult blindness, and the need for kidney dialysis, as well as multiplies the risk of myocardial infarction, peripheral artery disease, and cerebrovascular disease. Globally, the World Health Organization estimates that 8% of the adult population is living with the disease, most unaware that they are affected.